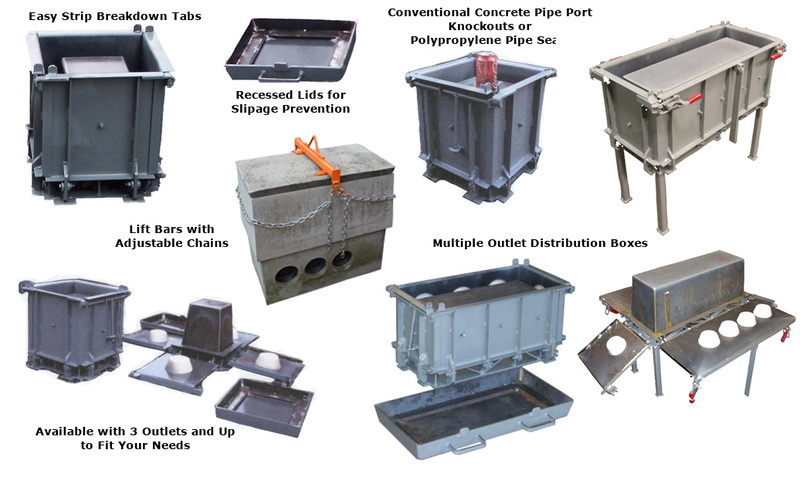 The function of the distribution box used with septic systems is to accept the effluent water that has passed through the septic tank and distribute that effluent to the distribution field laterals. Traditional distribution boxes have one INLET and multiple OUTLETS. The inlet and outlets are designed for 4" diameter pipes.